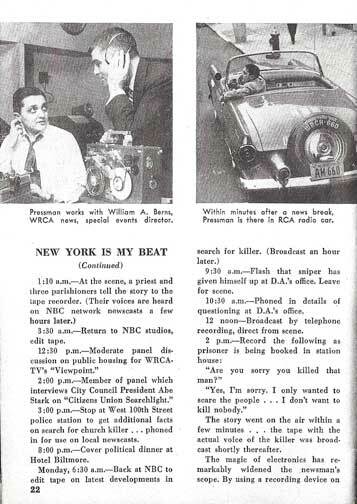 A Look Back at the Radio Newspaper of the Air. In the beginning, there were newspapers. And then radio arrived, challenging the newspapers’ journalistic monopoly. 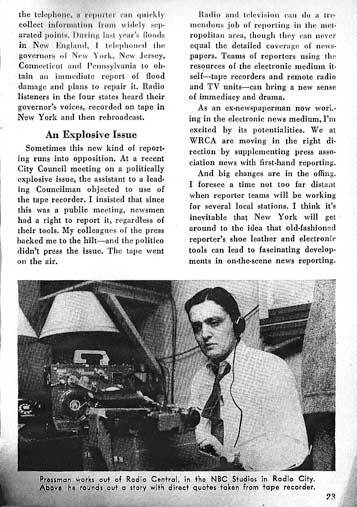 At first, many newspapers fought the new competitor, refusing to print radio news or program schedules. But some went in the opposite direction, deciding to operate their own radio stations to augment their businesses. And finally, a few brave pioneering publications went even farther: They tried to deliver their newspapers via radio facsimile. Read more…. NY Times Signals More Newsroom Layoffs Are Imminent – Nov. 20, 2014. Interesting piece about Times layoffs/buyouts, including copy of an internal Times memo to staff. Halifax Media Group Will Be Bought for $280 Million (Sarasota Herald-Tribune) Nov 21, 2014. Halifax Media Group, owner of the Herald-Tribune and 35 other newspapers and affiliated websites, has agreed to be acquired by New Media Investment Group Inc. for $280 million. The Associated Press is demanding assurances that the FBI will never again impersonate a member of the news media. The demand was made in a letter Monday from Gary Pruitt, the AP president and CEO, to FBI director James Comey and attorney general Eric Holder. The letter comes days after Comey revealed that an FBI agent in Seattle in 2007 had portrayed himself as an AP journalist during an investigation into a teenager suspected of making bomb threats at a high school.Mediaite Pruitt wants to know who authorized the investigation and the impersonation of a journalist, and whether the FBI continues these practices. Comey had defended the practice and considers it appropriate. BuzzFeed, as much as any newsroom, is the antithesis of traditional. A neon sign celebrates the Hot List, BuzzFeed’s signature form. The receptionist hands new employees swag—a sweatshirt and a canvas bag decorated with a classic BuzzFeed headline: “84 Things That Aren’t on an Everything Bagel.” The conference rooms ringing the newsroom are named for viral cats: “Shironeko,” “Princess… Read more…. Vice News Launches, Promising ‘Changing Of The Guard In Media’. Jeff Bercovici Forbes Staff reports that as of today, serious journalism officially has a home on Vice: Vice News. The new web channel launched today with reports from Myanmar, Russia, Venezuela and other global hot spots. 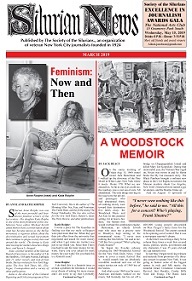 Read more…..
Wednesday’s New York Times (3/4/14) had an interesting article by OpEd Contributor Baynard Woods: Are Alt Weeklies Over? He discusses the role independent newspaper still lay in urban life. Read more …. 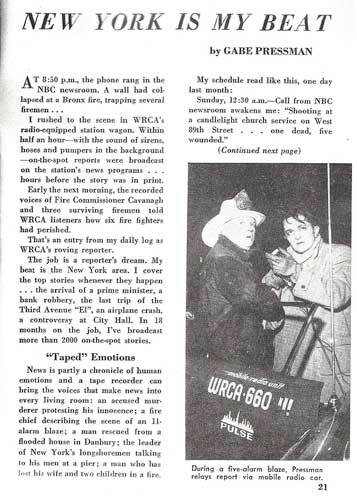 Bill Diehl came across this gem of an article by Gabe Pressman in a NY Herald Trib TV guide he bought at a flea market. It’s not often that the superstar newswoman is the one answering the interview questions — but we got her to open up about her marriage, her favorite career moments, and her killer meatloaf recipe. Read more…..
ProPublica, the nonprofit dedicated to investigative journalism in the public interest, has won a $1 million grant from The John D. and Catherine T. MacArthur Foundation, the philanthropic group announced on February 20th. Read more…. The New York Times on November 20 announced a reorganization of its Washington bureau, including the elevation of Carolyn Ryan to bureau chief and the start of two new ventures. Read more…. This exciting epic tale is set amidst the vast panorama of China’s history. The book chronicles the tumultuous last years of the degenerating Qing Dynasty to the birth of modern China as seen through the eyes of three generations of “foreign devils” from USA and Canada. They are all members of Audrey Ronning’s family who, beginning with her grandparents, lived and worked in China from 1891 to 2010 as missionaries, teachers, students, diplomats and journalists. Eight members of the Ronning family were born in China and three ‘joined their ancestors’ there. China Mission has two meanings. In the beginning these daring and adventurous men and women came to the “Celestial Kingdom” to bring western learning and Christianity to the Chinese, but as time went by they became so intrigued by Chinese philosophies, history and culture that they eventually learned more from the Chinese then was learned by those they would proselytize. The story is told through intimate hand-written letters recording their hair-raising and often hilarious adventures and miraculous survivals while witnessing the Boxer Uprising, the death of the notorious Empress Dowager, the Great Revolution and massacre of the Communists resulting in the Long March, the Japanese occupation in World War II, the Chinese Civil War and the disastrous Cultural Revolution. In the process they earned life-long friendships that reached from the lowest peasants, the King of Thieves, revolutionaries and Warlords to the highest ranks of China’s leaders including Nationalist Generalissimo and Mme Chiang Kai-shek as well as Communist leaders such as Foreign Minister Huang Hua and Prime Minister Zhou Enlai, who became Chester’s close friend. “In Case You Missed It” is a new feature on this Website that will attempt to call your attention to significant developments in the news business which you may have overlooked during your busy day. These items could range from start-ups to obituaries, anything that would keep us in touch with our chosen field.